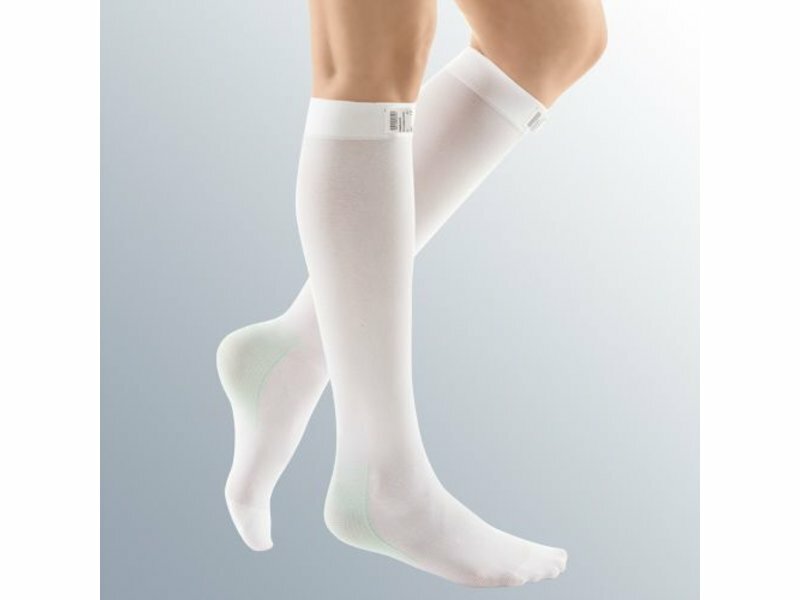 mediven thrombexin 18 anti-embolism stockings are an effective aid for the prevention of thrombosis during hospitalisation and of the pulmonary embolism that could result from it. 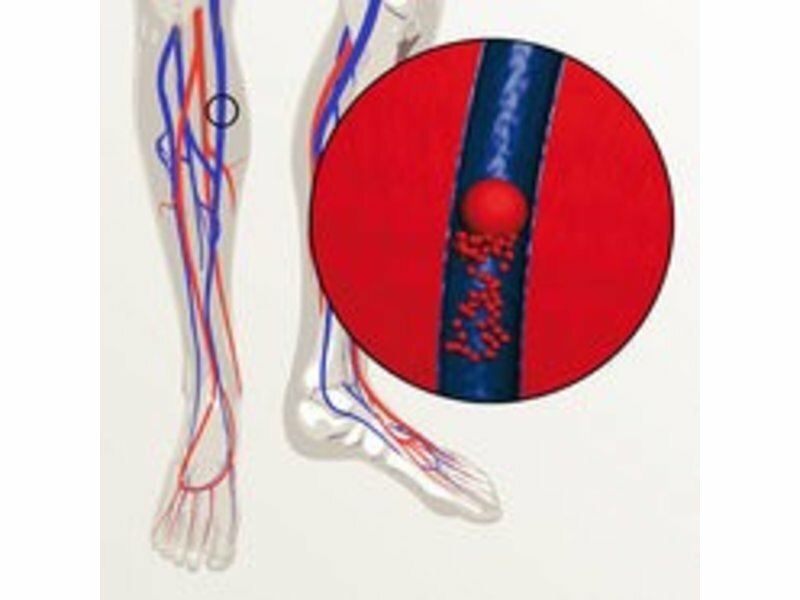 The area of application extends to the prevention of thrombosis before, during and after an operation. Where the risk of thrombosis is moderate to high, preventive treatment with anti-embolism stockings is often supplemented with drugs (e.g. heparin) and other measures (e.g. physiotherapy). A continuously decreasing compression from the ankle (approx. 18 mmHg) to the thigh (approx. 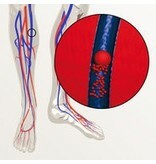 8 mmHg) provides an optimum acceleration of venous return of the blood. Inspection opening: this allows constant monitoring of the circulatory situation without having to remove the stocking. Any discolouration, which usually indicates an arterial problem, can therefore be detected at an early stage and the appropriate measures can be taken immediately. The opening also makes it easier to keep the toe area clean. Colour marking: clear colour marking on the heel and just below the top band of the mediven thrombexin 18, indicates the size of the stocking. The prominent identification marking on the heel is used to ensure the correct positioning of the stocking in the foot area. The size of the stocking can also be seen on the label which is sewn into the stocking. Silicone top band: rectangular colour markings on the silicone top band indicate whether the selected stocking size is appropriate for the thigh circumference. This ensures, at a glance, that venous return is not impeded or even prevented. Even with the “intelligent” silicone top band, correct measurement of the stocking is still essential for the provision of an optimum medical care. 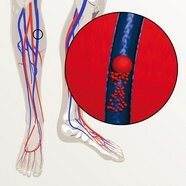 Antibacterial toe: mediven thrombexin 18 is the first medical anti-embolism stocking to incorporate an antibacterial toe. The antimicrobial properties of the yarn used lead to a clear reduction in the usual micro-organisms and fungi found in hospitals between the toes and at the base of the toe. This effect is not achieved by simple application of a substance, but rather occurs as a result of a physical and chemical manufacturing process. These anti-bacterial properties remain even after many washes. Unusual comfort in wear: the breathable and moisture-wicking fabric provide the optimum conditions for a pleasant ‘climatic’ environment. The heat congestion, which is a frequent complaint, is clearly reduced by the permeability of the knitted fabric to air, which promotes the cooling effect with evaporation. Material: 82 % polyamide, 18 % elastane, latex-free. A careful selection of materials is the necessary prerequisite for top product quality. The use of latex has been deliberately avoided to prevent allergic reactions in patients and nursing staff. A particular feature of our anti-embolism stockings and wound dressing aids, is the use of a “bare” elastane thread with no spun coating, which gives the stocking its compressive and highly elastic characteristics. This allows thigh circumferences of up to 100 cm to be fitted. Alles in orde. Van de beschrijving van het product tot het dragen van de kousen verliep alles zoals gewenst ! Deze kousen waren me aangemeten in het ziekenhuis en bevielen prima. Gelukkig kon ik bij uw bedrijf extra paren bijbestellen. Ik was al bekend met de Mediven Thrombexin 18 AD Kniekous, maar ik ben een zeer tevreden mens nu ik deze via internet en BeterHulp kan bestellen. Ik bedank u hartelijk voor de prompte levering.